Two of my favorite country stars recorded San Antonio Rose – Willy Nelson and Patsy Cline. Listen to it some day seriously! What voices. 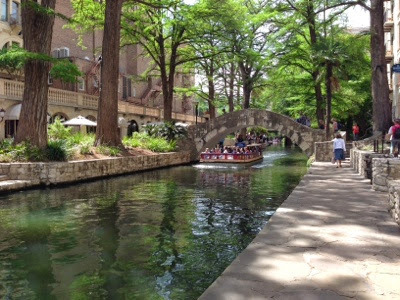 San Antonio is an amazing city. I really do like cities as much as wide open spaces without people. In all honesty I may like cities more, but each day and each place changes that. Cities are full of so many different types of people, not only demographics wise, but in every other way. Add to that mix a city like this with so many tourists and history and wow! We think the best way to discover any place is a random drive. We just pick a street and see where it goes. The tourist books are one traditional usually material view, but they don’t always consider character, etc. But, in the case of San Antonio, we were attracted to traditional sites. 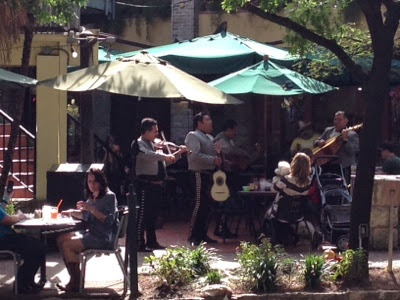 So on our discovery tour where did we find ourselves but the Alamo – one of the biggest tourist places in the city. Without even paying a fee you can wander within the walls of the fort/mission site, and with some imagination begin to understand a bit of what may have been experienced during the siege. Just amazing. 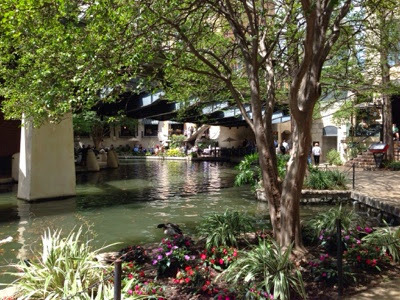 The second place we wanted to be sure to visit was the Riverwalk. We saved this adventure for a warm afternoon when we just knew we would appreciate the breeze blowing in off the water, and hopefully early enough in the day it wasn't too ran over by visitors. 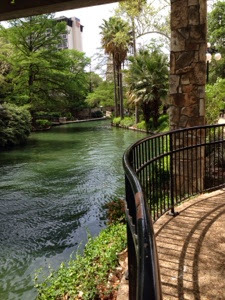 Do not visit this area without visiting the Riverwalk! Absolute beauty! It was a perfect afternoon! The rest of our time in this area we spent pretty close to the trailer. We were in a great regional campground operated by the city of Castroville. The campground is adjacent to trails and walking paths, so it easy to spend time there and relax. We even had an evening happy hour or two with some other folks. We are onward to Padre Islands by Corpus Christi, and are so excited to be by the ocean again.